The Mysterious Traveler Sets Out: Is a kitty looking for you? Is a kitty looking for you? 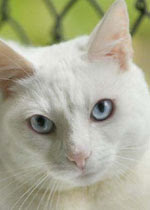 Purrfect Pals is having their Average Joe Cat Show, which includes adoptions, tomorrow (Saturday) in Shoreline. Details here. This is an agency that goes to great lengths to match cats to your home environment to assure a successful placement.